Keystone Property Investments, LLC, buys houses, in any condition for cash. To sell your house visit to our website and we will make you a fair cash offer for your property. 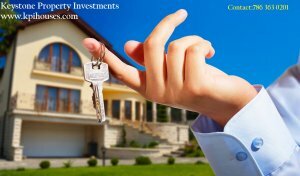 We are real estate buyers who Buy homes for sale in Florida. Our goal is to help out home owners like you solve their property problems. Homeowner who have homes for sale in Florida come to us after failing to sell their houses through traditional means, or when they are simply out of time. In most cases, these homeowners need to sell their house fast and we are able to provide them with an all cash offer. In other cases, we are able to contact the banks to renegotiate the homeowner’s debt and alleviate their burden. Our goal isn’t to take advantage of you. Our goal is to offer you a fair solution to your problem in the shortest time possible.